Business owners and managers all want their businesses to grow. They want sustainable growth with an ongoing stream of leads coming into the organization. They need a robust sales pipeline to insulate against the risk of client attrition. They also want new clients that add to the bottom line. If the value of the sale is significant, as it is for many of our clients, it’s unlikely that prospective customer decisions will be made quickly. When phoning large companies, decision-makers are often busy. They’re in meetings and their calls are screened. Telemarketing isn’t a precise science. You shouldn’t necessarily expect instant results. Benchmarks and KPIs are important and, over time, these will emerge. Sometimes, with the right recipe, campaigns will perform well right from the outset. If you line up the factors explained in our telemarketing tips video series, results should come more swiftly. 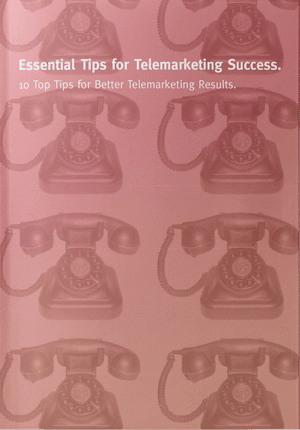 But telemarketing success depends on a number of factors. Results and ratios vary considerably. It’s worth thinking about telemarketing as if you’re planning for gold. It’s an exercise of profiling the market and identifying those that are in the market now, those that require call-backs in the next 3-6 months and those that would be open to discussion when they next review their supplier contracts. It’s absolutely about building a pipeline and making sure that the call-back is made at just the right time. That generally doesn’t happen overnight so you need to take a long-term view. You need to have patience and evaluate the exercise based on the return on investment over time. Too often, businesses start a telemarketing exercise either too late or when they may be desperate for leads. That means that the pressure is on too soon. If a campaign is well-constructed and the elements above are aligned, success can be quick. However, large companies don’t make snap decisions when it comes to changing providers. If that’s your target, you need to set your expectations based on what’s feasible given the circumstances. If you do that and put the appropriate level of consistent effort into the exercise, success will come.